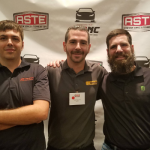 Again this team digs deep to help aftermarket professionals learn more about the service advisor position. This is one of the most important and challenging jobs in the industry. The service adviser is the face of the business and is faced with building trust and strong relationships while generating profitable revenue. Enjoy four different role plays and the ensuing discussion. Critique each role play yourself and enjoy the comments from this team. 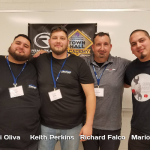 With me is Barry Barrett, Director of Training at RLO, Clint White, shop manager at Coopers Auto Repair Specialists in Tacoma, WA and John Vasquez, Service Adviser at Los Gators Auto Service Campbell, CA. 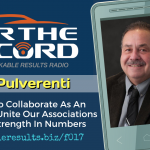 We Need To Collaborate As An Industry And Unite Our Associations To Create Strength In Numbers. 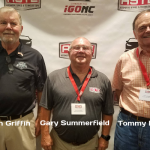 The Roundtable consists of Gary Summerfield, Don Griffin, and Tommy Kendall. Gary and Don are retired shop owners, who are now landlords and Tommy is still contributing to the industry as a part-timer. They share wisdom of the ages. Learn how their collective mindset helped transform the shops that they have operated throughout the years. We talk about training, technician pay and paying it forward. Did You Know That Training is the Responsibility of the Technician? 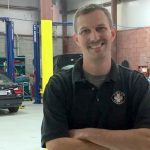 A hard-hitting interview on technician training with trainer, writer, and mobile diagnostic tech Edwin Hazzard, Owner of Southeast Mobile Tech who has a lot to say about the responsibility of training in the aftermarket. Edwin Hazzard owns a mobile diagnostic company in South Carolina. He contributes articles to Motor Age and has instructed in many different capacities over the years. 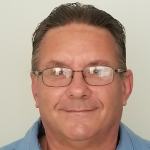 Edwin has been a dealership technician and taught at the high school level. He enjoys what he does for a living and sees diverse age group in classes. He says investing in training is important just to be relevant and up to date with the recent technology. If you don’t update, you evaporate. THA 089: Open Four, Five or Six Days a Week. You Decide. Open Four, Five, Six Days a Week. Listen to the Debate. The panel includes Tom Piippo Tri-County Motors, Rudyard, MI, Bill Nalu, Interstate Auto Care Madison Heights, MI, and Alan ‘Ollie’ Gelfand, from German Car Depot, Hollywood, FL. 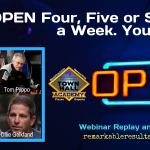 Learn how each defines or defends their days open and outlines the challenges each has in hiring, serving and making money. Tom is a four day a week shop, however, Bill and Alan have their thoughts on how to create a four day work week for their team and still be there to serve their customer’s busy lives. Each day of the week takes on a different personality such as Saturday’s helps feed Monday and Tuesday. And Saturday’s can be a big maintenance day. 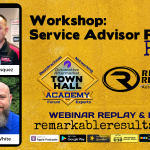 Technician Talk: Retention, Aftermarket Training vs. 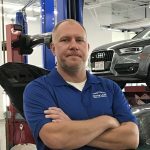 Dealership Training And How To Handle And Fix Mistakes In The Shop. 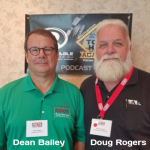 The panel consists of Mike Reynolds, Mobile Automotive Service Solutions in Charleston, SC, Shane Steele, Hoover Dodge located in Summerville, South Carolina, and Robert Griffin, Owner and technician at Griffin Transmissions, North Charleston, SC. 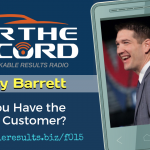 FTR 015: Barry Barrett – Do You Have The Right Customer? If you are a person who thinks you can do everything yourself, then you need to listen to this trio explain their knock upside the head ‘V8’ moments when they realized it was the worse thing they could have ever done. 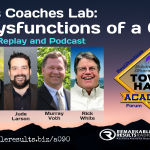 Learn about this panels school of hard knocks so you don’t spend too much time in the places they were and accelerate your business because you now have the proof of what to do to prevent your business from being stuck in neutral. It is not what you don’t know it is also about what your people don’t know. 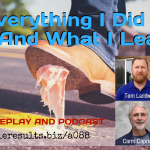 We talk micromanaging, training, business models, KPI’s and empowering your people and yes they will make mistakes just like you did. RR 369: Patrick McHugh. Using a Scoreboard to Manage Shop Performance. Patrick McHugh. Using a Scoreboard to Manage Shop Performance. In this episode, Patrick shows us an interesting way of tracking progress and goals in his shop with his new scoreboard. It actually came from a discussion he had with his techs and his disciplines as a former pilot. The board is located in the bays of his shop and has sections for workflow and numbers. The scoreboard is meant to be in technician speak. It has a grid that flows from top to bottom with customer name/car, incoming work, in diagnosis, ready for work and more. This entire system came from the drive to engage his technicians and ultimately provide stronger earnings for his team. 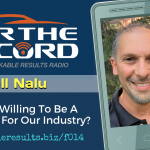 FTR 014: Bill Nalu wonders – Are You Willing To Be A Messenger For Our Industry? 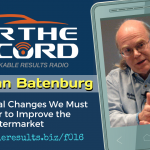 Bill Nalu – Are You Willing To Be A Messenger For Our Industry?